In a behind-the-scenes look at Oprah’s Academy, the show introduces viewers to the young women of the school’s first graduating class, following every step of their journey as they tackle the challenges of their senior year and apply for college. 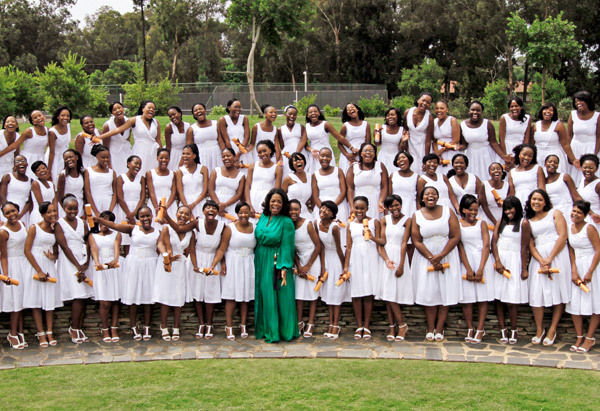 Seventy-two young women made history in 2012 when they became the first to graduate from The Oprah Academy. From their arrival at the school to their first visit to the United States to tour colleges, the special provides personal accounts of the school’s first students, who at age twelve or thirteen left their homes and families behind to pursue an opportunity to follow their dreams. The two-hour special premieres Sunday, October 14, 9:00 to 11:00 p.m. ET/PT on OWN: Oprah Winfrey Network. Watch a trailer below. In 2007, the Oprah Winfrey Leadership Academy for Girls opened its doors to put the girls of South Africa on a path to a bright future. Now, 72 of those girls are making history as the first graduating class. Tune in October 14 at 9/8c and see their journey through their eyes. Watch a preview today.